The action-packed brand of high-stakes robbery delivered by Overkill Software's Payday: The Heist might just be pulling off its next job in the middle of a zombie apocalypse. "As perceptive gamers will have noticed, several hints have recently been dropped into PAYDAY The Heist, which has led to various rumors. We are excited to be able to confirm that an in-depth collaboration between OVERKILL and Valve is currently in production. 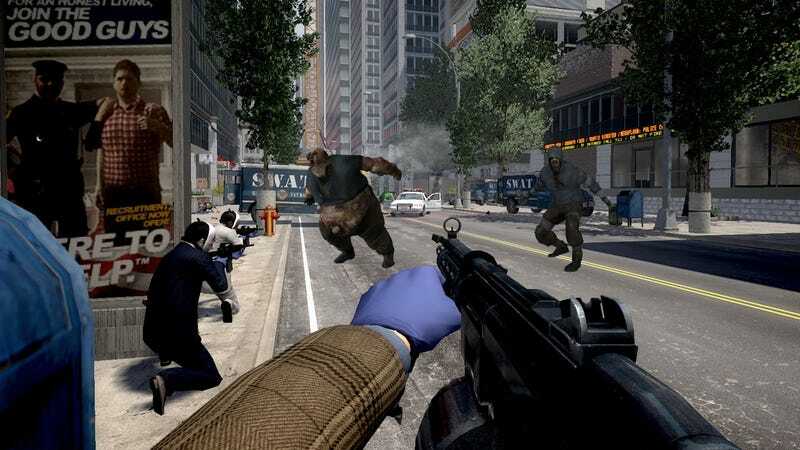 We are working on a very cool blend of PAYDAY and Left 4 Dead. I am sure it is so exciting that it will have some players check into the hospital before we are done." It was recently announced that dev studio Starbreeze—makers of this year's Syndicate reboot and the Chronicles of Riddick games—would be acquiring Overkill in a bid to grow their intellectual property portfolio. Originally a PlayStation Network exclusive, Payday is also now available on Steam. Payday debuted on the PlayStation Network and then became available on Steam soon thereafter. No word on when we might expect to see the first look at a Payday/L4D crossover but zombies vs. Bank Thieves… that could actually be fun.